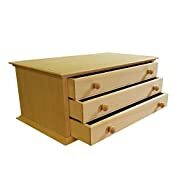 This is a stunning archive cabinet that is beautifully made from solid Cherry or Maple and select grade cabinet plywood. This cabinet will hold your largest papers and prints. 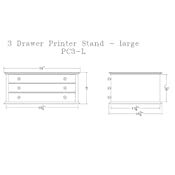 Its larger size makes it a great stand for your printer and the 3 large drawers will hold prints and papers up to 20" x 14" Choose between a rich brown stain, or natural wood. The Cabinet is 24" wide x 16-3/4" deep x 10" high, and has 3 drawers. 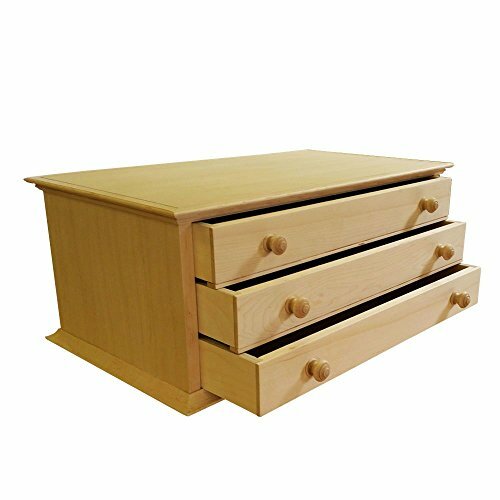 Each drawer measures 20" wide x 14-1/8" deep x 1-7/8" tall" on the inside and will hold large prints or paper. 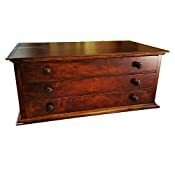 The cabinet is trimmed with solid Cherry or Maple mouldings and each drawer has 2 hand turned knobs. 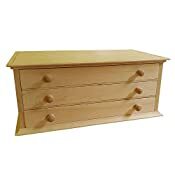 It is finished with 5 coats of hand rubbed lacquer for a lustrous satin gloss.